 As someone who runs Utah’s premier recruiting firm, I find this landmark legislation that was signed into law offering housing, and particularly employment protections, to Utah’s LGBT community as a huge leap for the state as a whole. While these protections are monumental feats in the fight for equality in The Beehive State, they will also have tremendous and lasting effects on the cultural perception of Utah and ultimately the state’s economy. Utah’s job market is already lauded as one of the most robust in the nation. We enjoy the fourth lowest unemployment rate in the U.S.; we’re home to the hallowed Silicon Slopes and Forbes Magazine has even touted Utah as the best state to do business. 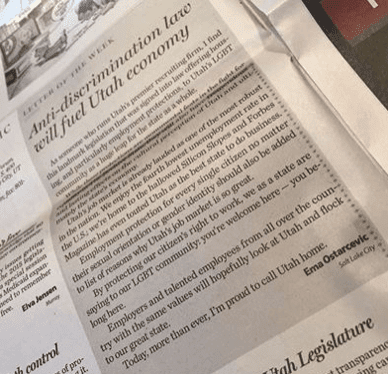 Employment protection for every single citizen no matter their sexual orientation or gender identity should also be added to list of reasons why Utah’s job market is so great. By protecting our citizen’s right to work, we as a state are saying to our LGBT community: you’re welcome here — you belong here. Employers and talented employees from all over the country with the same values will hopefully look at Utah and flock to our great state. Today, more than ever, I’m proud to call Utah home.